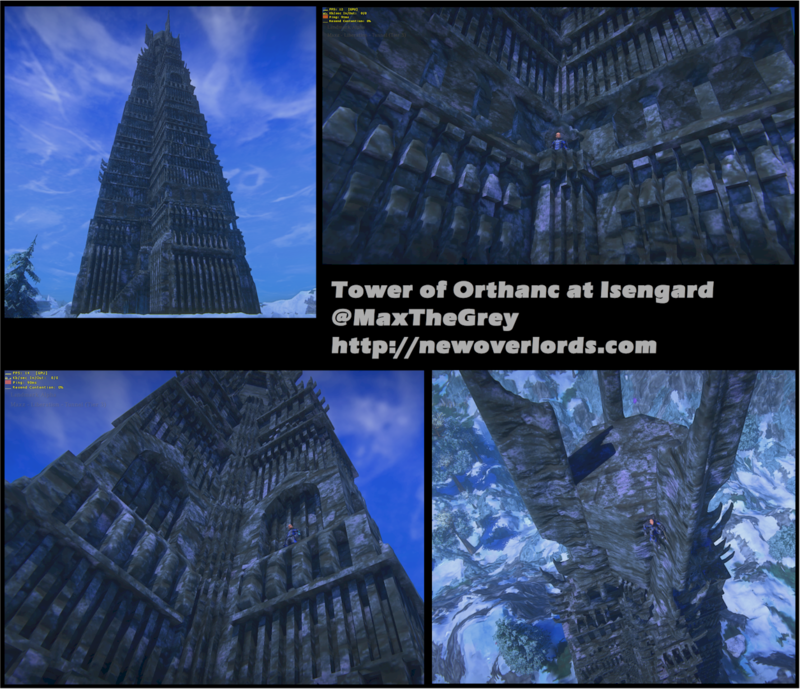 A dark overlord commanded that a certain tower be constructed… an so it has been done! At the launch of the new biomes about a week ago I took the opportunity to find a new spot on a Tundra styled zone. I cleared the claims from the last ‘Castle on a Cloud’ project and started in on this one. It took quite a bit longer than I expected but the exterior model is now complete and the project is likely wrapped up for me at this point. This is mostly based on the Lord of the Rings movie version of the tower model. 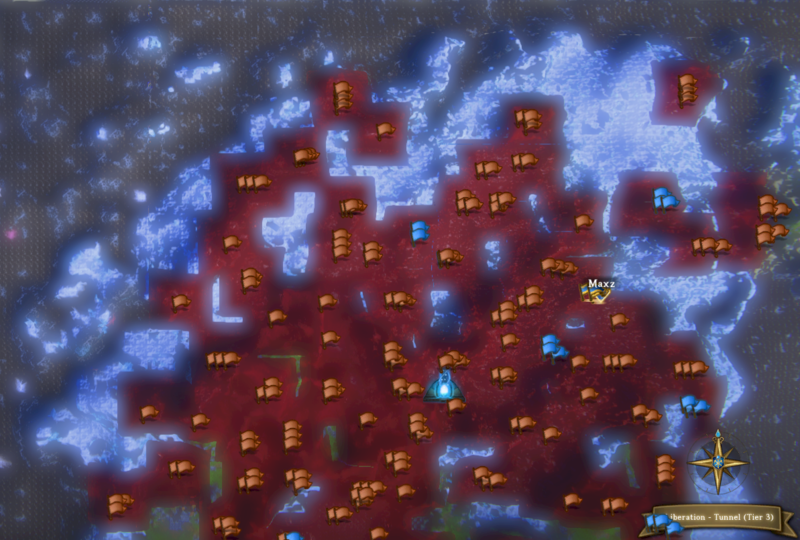 It’s about 344 voxels high and spans much of two claims high. The base is about 108×108 voxels. With those dimensions it’s technically between a 50% and 80% scale model but still looks scaled reasonably when you walk in, stand on the balcony above the entrance or stand up top. 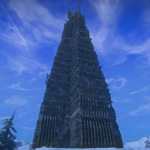 I built one of the four columns and mostly copied from there to create the rest of the tower. Some of the stitching of the four pieces together and some detail work had to be done separately. Much of the cap was done all at once. I did have a problem after first building about 80% of one of the towers and then trying to copy, not realizing that the entire column needs to slope toward the center as well as diminish in cross-section as it rose. That forced some rework. Took about twice as long as I would have expected but I’m pretty happy with the results. Let me know if you have any questions or comments. It’s on Liberation – Tunnel, north east of the hub if you’d like to visit. Enjoy!